To use the sport of swimming as a tool to empower the next generation of leaders in under-served communities in Nicaragua. 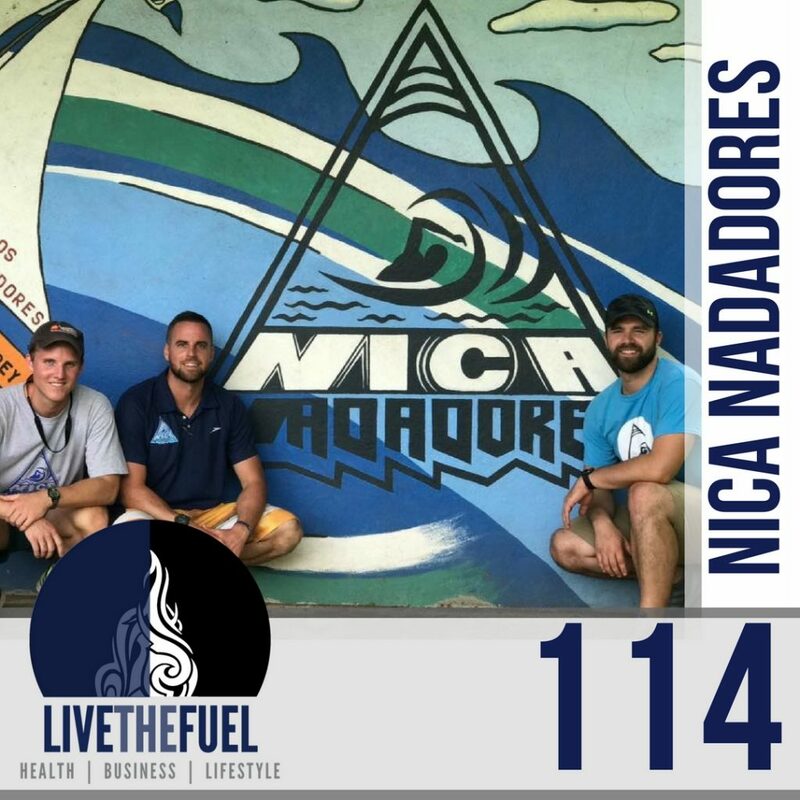 Nica Nadadores is a swim team, youth development and empowerment program, community service vehicle, and scholarship initiative. We do more than just teach kids how to swim. We empower them to dream big and achieve their goals in all areas of life. We run daily swim practices, conduct monthly community service activities, mentor on life skills and leadership, and provide academic financial assistance to children who show commitment to Nica Nadadores’ values. Our goal is to help our student-athletes reach their full potential by showing them that their progress and success in the pool is transferable to the classroom and to the rest of their lives. Forty-six percent of Nicaraguan children do not advance beyond ninth grade. Public schools in the area are overcrowded, teachers are under-trained and underpaid, and a full weekly schedule consists of less than 20 hours of classroom instruction. The Nica Nadadores scholarship program enrolls student-athletes in higher-achieving schools and provides them with the support to succeed. The program holds participants accountable for in- school performance as well as outside study. Nica Nadadores is a 501(c)3 tax-exempt organization that relies on financial contributions from supporters in the United States and abroad. Please visit their site to send questions or comments at http://nicanadadores.org/contact. [00:20] Recording LIVE from the Lost Tavern in Hellertown, PA.
[00:50] Kyle Shomaker and Timmy Hayes, two of the three co-founders of this youth Nicaraguan benefitting charity. [01:00] Also hanging out and watching the Philadelphia Eagles play the New York Giants in football too. [01:30] Getting the backstory from Timmy. [03:40] Timmy hated school, a 980 on his SAT’s and swimming got him through. [06:50] Dead birds in a green pool. [07:30] Getting to know Kyle Shoemaker and the Blue Eagle Swim Team. [09:30] In Nicaragua it’s Swim or you sit on your plastic chair and watch TV. [10:30] No credit for participation. If you’re a minute late, you don’t practice. They have to keep the grades up over time. Success is not about their athletic performance. It’s about their education, their leadership ability, and what they’re doing for their community. [12:35] These kids are the lowest class of the second poorest country in the western hemisphere. [13:20] Their families household income is around $284 per month with a typical family size of 5-6 people. [14:30] Empowering kids to launch their own outreach programs. [15:10] Bringing US-based swim teams down to Nicaragua to learn from their Nicaraguan youth athletes. [16:30] The powerful impact with Alfredo becoming a success story of his own. [18:00] Kyle jumping in and explaining how they’re trying to break the cycle of poverty. [20:00] Gaining confidence in life from just learning how to swim better. [21:30] A common mentality in Nicaragua is that of “if you are not doing anything bad, you are succeeding”. If you’re meeting your basic needs, you’re right at the line of doing good, that’s socialism. Everyone is doing just enough to get by, no one strives to do more. The kids, unfortunately, have learned that if they aren’t doing anything bad then they’re doing good. [22:30] The concept of coaching to accept change. [24:40] The problems with participation awards. [25:25] Self-improvement is individualized. In swimming, when you are racing, you can’t have anyone else pick up your slack. [25:40] Relating this coaching concept and the value of participation to the new Baywatch movie with Zach Efron. [27:20] Kyle bares new info for Timmy that he struggled too and never got to go to ACC’s during his freshman year at Clemon University. [28:50] Internships and real-world work are needed now more than ever. A great GPA and a great pedigree aren’t enough. [30:40] Swimming and track are really the only well-established sports that support cross-gender training. [32:00] Swimming making an impact in Kyle’s future career in Finacial Services. [34:05] Timmy shares the truth on their program having a high attrition rate. They look for kids that have very supportive parents at home. They get rid of kids that are more ego-based and more self-centered. [35:45] Discussing the Eagles kicker during our podcast that was about to kick a 61-yard field goal attempt during the Eagles vs Giants game. [36:05] Discussing their own internships that allow US-based swimming university athletes to come down and work with Nica Nadadores. [36:50] We explode in amazed cheers as the Eagles kicker achieves his 61-yard field goal kick! This same kicker missed a 56-yard attempt earlier in the game and is only in his early twenties. So impressive! [38:25] With 1 second left he closes the deal! We work this into our athletic discussions on the value of “how do you deal with pressure”. [38:35] Athletes are hireable people because they know how to deal with pressure. [39:30] Kyle likes to believe he’s one of the more difficult coaches. He’s got higher expectations for younger kids. Shoutout to Rob, their prior coach at Lehigh University. When we were young, we were ingrained with the message… “With A Purpose!” initially created from the coaching of “Walk With A Purpose”. Being deliberate with your actions.